Business owner Ross Lindsay is a 5th generation local. Ross was introduced to real estate when his father joined 'Hec' Wyndham which became the real estate firm Lindsay & Wyndham in the 1970’s. Ross purchased the business in 1989 and from small beginnings and with lots of hard work the office has grown and developed to its current site and size. Harcourts is the largest Real Estate firm in town offering both property management and property sales services. Having grown up locally his knowledge of the local area is invaluable to the many customers that he has met over his 30+ years in real estate. His expertise in financial and investment areas is also a valuable asset in this industry. Giving a back to the community is something Ross prides himself on with continued sponsorship of local sporting groups, such as Wauchope Soccer Club, Hastings District Pony Club and local Golfing tournaments. Ross says "Wauchope & Port Macquarie” areas offer the best of living with the many beautiful beaches we have on offer on the best part of the Mid North Coast. The picturesque beauty of Wauchope and the hinterland are hidden gems waiting for you to visit. Ross enjoys all facets of real estate but mostly it’s that moment when you've made that customer or client happy and we helped to “make it happen". Barry has lived in the Hastings Valley since 1980. With an extensive background in the farming and cattle industry. Family & farm take up most of Barrys' spare time, along with camping and fishing. 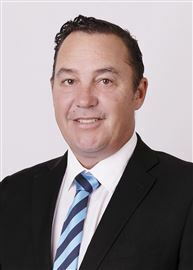 Barrys' Real Estate career commenced in July 2001, specialising in Rural Sales, however he is now involved with all facets of the Real Estate Trade. A fully qualified Licensed Real Estate, Stock & Station, Business Agent and an accredited auctioneer. 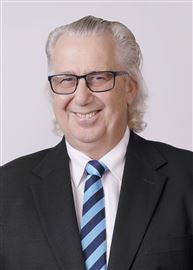 Barry also holds recognition as a NSW Justice of the Peace. As an 18 year old on the northern beaches of Sydney Jim bought his first block of land, and from then on he was hooked on real estate. After working 30 years in the Construction Industry, highlighted by his achievements in the building of the Sydney 2000 Olympic Games infrastructure and post-Olympic works, Jim then moved to Port Macquarie and rekindled his love of real estate. 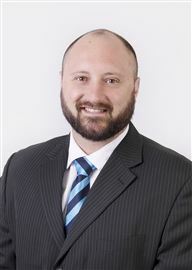 Now a licenced Real Estate Agent, Jim really enjoys the interaction with his clients. The satisfaction that it brings is the inspiring factor that makes his work a lifestyle choice as well as a job. Living on the original canals area of Port Macquarie has given Jim a real appreciation of the beauty of the Hastings waterways and beaches and reminds him of his days spent on Collaroy Beach and of fishing and water-skiing on Narrabeen Lakes. These are daily reminders of just how lucky we are in the safe and beautiful surroundings of the Hastings. Jim believes in strong work ethics and the principles that the Harcourts name represents in the industry. Working with such an experienced local identity as Ross Lindsay and his team gives Jim great satisfaction and has further enhanced his knowledge of the local area with Harcourts offering properties from “The Beach to the Bush”. It is always Jim’s greatest pleasure to get involved with his clients and help them realise their dreams. He is always available to “List and Sell with Jim”. John is a highly accomplished sales professional. He brings to the team over 25 years’ experience in finance, Real Estate and Account Management. John previously worked in Sydney, Canberra and Brisbane. He moved to Port Macquarie in 2014 with his wife and 2 children to be closer to family. Since moving to Port Macquarie John set up his own successful Mortgage Broking business. John is approachable, honest and is excited to be coming back to Real Estate. John really enjoys helping people achieve their Real Estate goals. From the experience that he brings, coupled with his strong communication and negotiation skills, gives property owners the peace of mind that their most valuable asset is in capable hands. When you are ready to buy or sell just give John a call. Marc commenced his real estate career in July 1996, and became a licensed Real Estate Agent and Stock & Station Agent in 2001 and is a registered Auctioneer. He was the Principal at Peppertree Real Estate from March 2002 to July 2007. Having worked on the Sovereign Hills development from August 2007 until 2012. He brings a sound knowledge of all matters real estate and development. Before real estate Marc was a farming contractor in the vineyards around Mudgee. Marc has been married to Margaret for 22 years and they have 3 children and 4 grandchildren. Coaching rugby union is another of Marc’s passions, coaching the Port Macquarie Pirates to 2 successive grand finals in the Mid North Coast competition and has been named as the inaugural coach of the new Wauchope Thunder Rugby Club set to play in the MNC competition for the first time in 2015. Having moved to Port Macquarie in 1996 with my wife and 4 children I am very happy to call Port Macquarie and the mid north coast home. In the past 18 years I have been a Company Director of a Sales and Building company and I am very passionate in achieving high results. I am able to provide advice on alternative marketing strategies and my large data base of clients ensure vendors have access to a huge amount of qualified buyers. The SUCCESS in Sales and Marketing is understanding the Wants and Needs of your Client to achieve the best possible outcome. Peter Mudford has been in and around Wauchope for nearly 30 years. At 36 years young he is hoping to deal with as many people as possible but try and encourage young families or first home buyers to investors to give him a shot at finding them their perfect home. His background in building and construction, truck driving, managing pubs and other jobs have helped him become the people person he is and respects everyone's differences. Peter is eager to master the trade and offer a bit of a modern spin to how things are done. Peter has great listening and personal qualities, integrity, values and morals are very important to him. Honestly, loyalty and respect. Building a relationship with potential buyers/sellers and them trusting him to do the right thing by them is number one on his priority list. 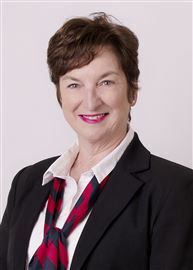 Robin has over 30 years of Real Estate experience with most of her time being spent in Port Macquarie, but having also spent time in Real Estate in the Coffs Harbour and Canberra areas. 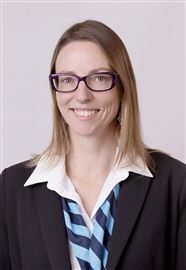 Her expertise is vast, beginning with over 15 years in Residential Property Management, Residential Sales, Holiday Accommodation with the last 15 years seeing her expand into the Commercial/Industrial sector of Port Macquarie which has become her passion within the real estate industry. 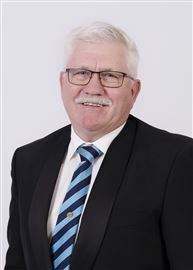 Tim Milner is a long-term resident of Wauchope and is very active within local community with his involvement with the local rugby league club as a coach of one of his sons football team. Tim is married to Katie and they have 4 boys. Over the past 10 years Tim has been involved in hundreds of real estate transactions & achieving amazing results for all of those that have entrusted him with the marketing and ultimately the sale of their biggest asset. Tim understands that when a vendor makes the decision to sell their home they need an agent who is empathetic and can fully understand the reason that surrounds their decision to sell. This is where Tim excels as an agent, he possesses the ability to put himself in the vendors shoes and best work out a plan to help them to the next stage of their life journey. As a real estate agent Tim prides himself on his open and transparent demeaner which leads to strong relationships with both buyers and sellers. Tim says, “It is all about building trust and respect, without trust and understanding it is impossible to have a comprehensive understanding of the client’s needs, that is the only way I have been able to correctly match buyers and sellers and ultimately achieving the desired outcome for my vendors, it’s not rocket science it is listening and building relationships”. Tim is also an award winning real estate agent and won the national award for “Most Outstanding New Talent” after his first year as a real estate agent. He has also placed in the top 5 agents for settled sales 4 years in a row. If you are thinking of selling or just need some honest and constructive advice with any of you real estate needs, give Tim a call as he is more than happy to sit down with you and have a chat. Amy grew up in the Camden Haven area moving to Brisbane in 2006 to start her real estate career. She returned to the local area in 2014 with her two kids. With over 10 years experience in real estate she looks forward to being part of the Harcourts team and offering her professionalism and knowledge. Gary brings with him a wealth of knowledge in the real estate industry. Twelve years in Strata Management with Raine and Horne Strata Epping has given him a strong customer focus and the ability to solve the most challenging of issues. Approachable and jovial, Gary likes to keep things light, with a joke and a laugh. A jack of all trades, his history includes Mechanic and Service Management with Ford and Toyota and Management of the antenna and satellite installation division with Hills Industries. After many years of working in the city, he has moved to the countryside to enjoy a more relaxed lifestyle and is looking forward to settling in and getting to know the locals. With 8 years experience in both furnished holiday, and residential letting, Jamie treats every property as her own. Tenants and landlords appreciate her proactive approach to maintenance and professional manner in solving problems for mutual benefit. 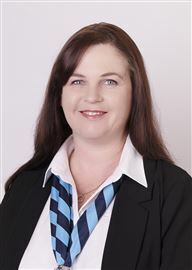 Kylie commenced working in the Real Estate Industry 20 years ago and has been in the Hastings area since 2004. She is a Licensed Real Estate agent and Justice of the Peace. Kylie is straightforward and genuine in dealing with both property owners & tenants and her knowledge, empathy, diplomacy, problem solving & communication skills, along with the desire to help people have all been keys to her long term success in the industry. Kylie aims to maximise the long term value of an investment property for an owner by securing the best possible tenant, monitoring repairs & maintenance to protect the asset and obtaining maximum value rent figures on an ongoing basis. 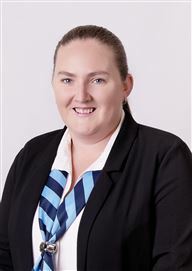 As part of the property management team, Kylie is looking forward to ensuring your experience with Harcourts Greater Port Macquarie is a successful and rewarding one. 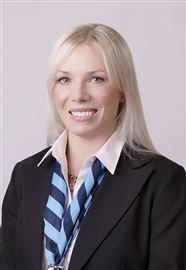 Summer has been working in property management on the Mid North Coast for over 8 years. With this extensive experience you can rest assured your property is in safe hands. Property management is my only focus and my number one priority ensuring your investment gets the attention it deserves and requires. I will offer you personal service that comes with dealing direct with a property manager who offers a high level of professional service which we believe to be unrivalled in Port Macquarie. My greatest achievement and aim to date is to build and maintain a professional and profitable rent roll with happy landlords and tenants a like. Carol began working in Real Estate in 1997 as a receptionist. Her background work in legal offices for over 10 years assisted Carol greatly with Real Estate procedure, in as much as there is a close working relationship between the two industries. Being on the front desk Carol got to know many faces in the community, and she really enjoys the contact and communication aspect of the position. In her spare time Carol enjoys outdoorsy stuff, like bushwalking, cycling and rock climbing with her partner Garry, and three lively boys. Born and raised in the Hastings area, Elissa is relatively new to the world of real estate but is enjoying learning new skills and meeting new people. On the front desk she is happy to meet and greet all of our customers with a smile. 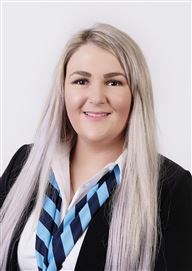 Elissa can help you with general enquiries about Property Management, Sales and Storage Bays. In her spare time Elissa enjoys creative crafty activities, collecting succulents and tenpin bowling. 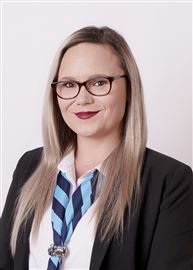 Jade has been involved in the Real Estate industry since 2006, starting out with a firm in Port Macquarie/Lake Cathie overseeing reception and sales administration whilst also completing her Real Estate Licensing Course. Jade grew up in Port Macquarie and moved to Wauchope in 2003. In her spare time she is either riding, training or judging show horses. Jade is looking forward to promoting the Harcourts brand as the Real Estate agency of choice when buying, selling or leasing your property within the Hastings area. Kaye has recently joined the Harcourts team with over 10 years experience working within real estate. She moved from Sydney to Port Macquarie in 1990, with her husband Phil and their three boys. They set about building their family home at Sancrox and they have settled on their 5 acres, making the Hastings home. Kaye has run successful businesses in Sydney and in Port Macquarie for over 20 years. 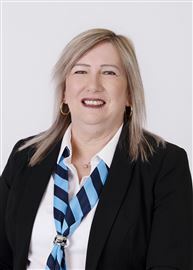 With a love for customer service Kaye returned to real estate in an administration role, having begun her career in real estate and always had a keen interest in the property market. Kaye is always happy to help clients to the best of her ability, with her professional and friendly manner and brings her contagious laugh to our office. Outside of work Kaye loves to spend quality time with her lovely family, and the loves of her life, her 4 grandchildren. 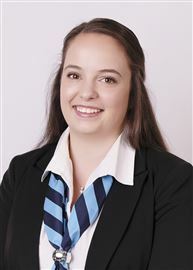 She has a very busy calendar socialising with her friends, enjoys motorsport and is involved as social secretary with Kempsey Sporting Car Club. Shannon was born and raised on Rawdon Island on her family’s 80 acre farm. Shannon’s experience in admin, leasing and property management brings a great quality to the Harcourts team. She loves meeting new people and gaining new skills and experiences within the real estate industry. In her spare time Shannon enjoys modifying JDM cars, body building, photography and animals. Don't Build, Buy Near New!!
" Country Living At Its Best "
" Expressions of Interest "
Owners Said " Offers Please "
This Unit Must Be Sold! Look At Me - Look At Me!!! As Pretty As A Post Card! Blink And It Will Be Gone! A Real Bargain At King Creek!